What are the lessons learned from Bataille de la Somme to Seconde Bataille de la Marne about the ethical training of military service members? One of the lessons to be learned remains a question to be answered. “What is the most effective ethical framework for the training of military personnel to fight and rest from war?” “Faith in Flanders Field,” remains a popular poem to express the vicissitudes of humanity at war. Canadian medical officer John McCrea wrote, “In Flanders Fields,” after the 15 April 1915 chlorine gas attack by the Germans in the Second Battle of Ypres. Lt. Col. McCrea became the voice of every Soldier and Family member struggling to make sense of the ghastly techniques of killing. Post-war verse, like T.S. Eliot’s The Hollow Men, further supports the human urge for an existential expression to meet the challenge of a metaphysical reality in war. A hypothesis is stated: that the metaphysical power of poetry exposes the natural human need for a transcendent ethical framework to support human begins in war. The paper considers the catastrophic geo-political discontinuity that the Great War imposed. Pre-war archival transcription of a report to Parliament by Edward Grey (1905-1916), the British Secretary of State for Foreign Affairs, along with post-war primary sources from Post-War ethicist Max Carl Otto (1876-1968) provide higher historical context for exploring the proposition. An abandonment of metaphysical ethics (not just religious ethics, but also nontheistic-natural law frames) for, e.g., a Darwinian ethical construct, withdrew an ethical system to give meaning to life and solace in suffering. This is a code without a creed. The paper proposes a “mother’s knee ethic,” is a transcendent encouragement that is both accessible to warfighters and serviceable by military educators. Such an ethical charter is already offered in the Army Ethic produced and promulgated by the U.S. Army Center for Profession and Ethics (2014). Perhaps the forces of postmodernity, the pressures of political correctness, and possible misunderstanding of how it is to be taught, have hindered its broader use in the military. 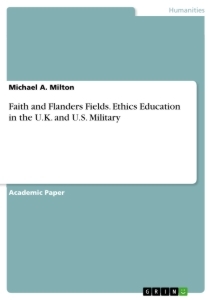 Distinguishing between pluralistic (a reality of Armed Forces) and pluralism (an ideology at odds with the Armed Forces) the author urges a pedagogical technique of “Cooperation without Compromise” to deploy the mother’s knee ethic, which is, in fact, the Army ethic. MICHAEL A. MILTON (PhD, University of Wales; MPA, University of North Carolina at Chapel Hill) is the James Ragsdale Chair of Missions and Evangelism at Erskine Theological Seminary. He is also the President of Faith for Living, Inc., a North Carolina nonprofit. Formerly the President-Chancellor of Reformed Theological Seminary, and a Chaplain (Colonel) USA Retired, he served as the Command Chaplain of U.S. Military Intelligence Readiness Command. He is the former Senior Editor of the Army Chaplain Journal, a peer-reviewed professional publication of the Army Chaplain Corps. Milton is the author of thirty books and numerous peer-reviewed and popular articles. He served as Senior Minister of the First Presbyterian Church of Chattanooga. He and his wife were engaged in founding three churches (KS, GA, and NC) and a K-12 Christian preparatory academy (KS). In 2018 The Governor of North Carolina awarded Michael A. Milton with the Order of the Longleaf Pine, the highest order for public service in “the Old North State.” A Presbyterian minister, educator, and composer, Dr. Michael A. Milton resides with his wife, Mae, and their son, John Michael, at their home in North Carolina. Milton’s curriculum vitae is available at http://michaelmilton.org. “Humanity owes a debt to the man who carries a proposition to its logical conclusion.” These words were written by the American ethicist, Dr. M. C. “Max” Otto of the University of Wisconsin, in the October 1920 edition of The International Journal of Ethics. Dr. Otto’s line could provide a fitting introduction to the paper on ethics (particularly a line written in an ethics journal two years after Armistice Day). The goal of a good paper is certainly a proposition and a logical conclusion. However, the author of this paper is satisfied that as Dr. Otto went on to criticize the famous philosopher David Hume as a “luminous failure,” I am content that his critique of the Scottish philosophical giant provides comfort and a bit of breathing room for lesser mortals. If my proposition were well stated and carefully crafted to its logical conclusion, then I would have, perhaps, earned the late Dr. Otto’s support. But I will be satisfied if I might interject a few thoughts into our discussion of ethical education of Anglo-America military members in light of the Centenary remembrance of the cessation of hostilities of the Great War. To isolate specific constants and variables in the discipline of military ethics after WWI and seek to adapt those select points to the military our Centenary; that is, for our own day, our own military, and our own geo-political challenges. I want to ask a more fundamental question about ethics education since WWI. What kind of ethic is required to fight and to rest from war? More specifically, I want to know what the best ethical framework is for fighting and resting given the lessons of WWI. The unprecedented carnage and seeming disregard for humanity itself marked a permanent stain on the yellowed pages of European (if not human) history. This ink-black stain would be not the last of the twentieth century but rather the first of other atrocities. A transcendent ethic was required to deal with matters that transcended the human capacity for reason. “Post-WWI signaled the beginning of a new world order of Anglo-American ascendancy and the experiment of new nationalism in the smaller states created by the Treatise of Versailles (Traité de Versailles, 28 June 1919). The victory of the Allied Forces in WWI did not go unchallenged. The Anglo-American dominance in the West after WWI, an idea explored by David R. Woodward in his curious title, Trial by Friendship: Anglo-American Relations, 1917-1918, and before WWII, was famously tested by numerous threats. Not all of the threats were of military prowess. Indeed, some of the greatest global security threats arise from weakness. The hopeful, even at times satisfying, “Makeshift democracy,” the democratic Weimar Republic, is the prime example of such a threat by weakness. It is of course well-documented that populism fed on the soured mash of German-styled “Dictate of Shame” after Versailles and bred an ill-tempered national consciousness that would march, again, to war. The Great Depression of 1929 and German hyperinflation, the abandonment of disarmament and German rearmament “proceeded apace,” all conspired to arrange the stage for a continuation of the Great War. These global security issues emanating from Europe and North America are often cited as the most notable consequence of World War I. The speed of war, the enhanced killing-capacity of new weaponry, and the apparent willingness of nations to invest and use unconventional methods of killing vast numbers at once overwhelmed (and continue to overwhelm) the human spirit. These variables leaped off of the researcher’s page in the way of chlorine gas attacks, the young men witnessing the bloated bodies piled upon each other, a ghastly evidence to the savagery of the enemy, the sheer recklessness of attacks, reminiscent of a pre-Roman Europe, but with Twentieth Century technology. Together, these devastating inventions of war created a desire for another kind of “new world order:” a crisis of Weltanschauung as Immanuel Kant would call the system of ideas about self and universe. This observation from the peer-reviewed International Journal of Ethics was published in October 1920. This is not, in my estimation, a preview of the “1925 Scopes Monkey Trial,” pitting scientific theory against divine revelation, but is undoubtedly one ethicist concerned about the untethering of ethical theories and praxis to a transcendent framework. Historians may debate if institutions such as the American and British military branches took this challenge to heart. However, it is indisputable that the cultural deconstruction went into high gear. Military support communities experienced the same philosophical crisis. The question seemed to something like this, “Are military ethics the finishing carpentry on the framing work of authority?” The answer was, at least, ambiguous. And so, a search began for a new ethic to treat the Soldier’s wounded soul. Science offered hope. But could the same science that created 12,000 tons of mustard gas, the yellow clouds of “Hell gas,” in addition to 101,000 tons of other chemical warfare agents, create helpful frameworks of meaning to deal with the mental and spiritual anguish that science had inflicted? Perhaps there was little time to consider secondary effects and unintentional outcomes. A new ethic was necessary it seemed. The old ethical systems had to be thrown into the same pile as the European monarchs and the centralized powers. To be clear, the historical development of ethics and ethics education requires further research and a fuller examination. Characterizations of a brisk chunking of older ethical orders for newer ones is unsatisfactory. But one must locate categories. There are only so many footnotes that can be used. So, leaning on others’ research, we can, at least, say the shift happened over these past one hundred years: from a transcendent value system, overwhelmingly Judeo-Christian in nature, to a modern, and now post-modern system erected upon technology, then civic virtue, respectively. So, I move from asking “What kind of ethic is best for fighting and resting from war in today’s battlefield and in light of what we have experienced and learned from the Great War” to, I hope, a more finely chiseled question: "Is a transcendent ethic a superior ethical framework for both fighting and resting from war?" The question that I put forward comes after having taught, among other subjects, ethics to military members at the United States Army Chaplain Center and School. I have also taught ethics (and theology and religious studies) at the graduate level in civilian institutions in the United States of America and in India, Albania, and in the United Kingdom. I have served as Command Chaplain of the United States Military Intelligence Readiness Command. As a chair of missions in a theological seminary I am currently engaged in teaching the development of theology and praxis since World War Two. I am hesitant to rehearse pieces of my curriculum vitae (who would be the fool to try and impress this crowd), but one presumes that a modest reference is necessary in order to establish a recognizable laboratory suitable for qualitative and even mixed-method research and reflection that supports this paper (however suspect the researcher may be). My research question comes as an educator as well as a Chaplain. I would be less than honest unless I disclosed my bias. I share with others a professional solicitude about secondary unintentional consequences of abandoning a transcendent ethic. My premise is that the issues that we face on the battlefield (and the issues that our Veterans must deal with through the remaining years of life) are issues that are essentially metaphysical in nature. "How to make sense of the inhumanity of war?" "How to hold a little child in your arms and look at the reality of collateral damage?" "How do I make sense of killing another human being?" The answers, I propose, that are being given to our military members through what I call "civic ethics" appear incapable of answering the existential questions of our Armed Forces members on the battlefield, in the seas, and in the air (and in space). Civic values and professional standards masquerading as an ethical framework are impotent to the “demons” of existential angst and spiritual crisis that our military members experience. So, I am advancing the conviction that we must return to a transcendent ethic, one that could also be called "mother's knee ethic." That which a child is taught remains with her even as she marches with her colleagues against the enemy. The mother's knee ethical framework is almost universally built on transcendent values. In Western democracies this has been Judeo-Christian belief. Has the onslaught of postmodernity removed the need for that transcendent value? I would say that modernity itself with its emphasis on science as savior contributed to the erosion of transcendent values. The postmodern mind in Western culture is actually more appreciative of transcendence. The questions require attention: “What is transcendence? Who is the Supreme Being?” There are so many others. My caveat to my proposition is this: the Anglo-American military community cannot provide a purely sectarian answer to those questions (at least in the United States). However, professional military education can, in both of our democracies, affirm the ethics learned by our war fighters from their mother's knee. It is entirely within our cultural library to affirm God and an ethical system that is based upon metaphysics rather than civic ethics. In terms of ethical framework categories (not ethical applications, like “the code of ethics of a profession,” or “environmental ethics,” or “biomedical ethics”); that is, the pou sto, the “operating system” on which all of our ethical “software” system runs. I have mentioned the phrase “civic ethics.” A definition is needed. The “civic ethic” is that ethical application that is grounded in the familiar categories of “virtue ethics (Aristotle),” “utilitarian ethics (William James),” and “ethics as contract” (Hobbs). Such ethical theories are not all “operating systems.” Some are, in fact, the “software application.” Such an arrangement is in contrast to a “transcendent ethic.” The transcendent ethic relies upon a philosophical and theology framework that, while not necessarily Judeo-Christian, is, in our culture, certainly informed if not shaped by the Old and New Testaments of the Holy Bible. However, it would be wrong to say that a transcendent ethical framework is merely a Biblical one. It is, in fact, a matrix of complimentary metaphysical concepts that provide a structure on which to build an ethical application. M. C. Otto, "Morality as Coercion or Persuasion," International Journal of Ethics 31 (1921 1921): 1, https://books.google.com/books?id=HP0LAAAAIAAJ. I also appreciate the inside of William Ernest Hocking who said, “The work of a proposition is often less a construction than a fight.” See William Ernest Hocking, "Action and Certainty," The Journal of Philosophy 27, no. 9 (1930): 225. See Barbara W. Tuchman, The Proud Tower: A Portrait of the World before the War, 1890-1914; Barbara W. Tuchman's Great War Series (Random House, 2011). J. McCrae and A. Macphail, In Flanders Fields: And Other Poems (G. P. Putnam's Sons, 1910), 3. George C. Marshall, "Award Ceremony Speech," Nobel Prizes and Laureates, accessed July 12, 2018. https://www.nobelprize.org/nobel_prizes/peace/laureates/1953/press.html. See Barbara Wertheim Tuchman, The Guns of August (Random House Trade Paperbacks, 1994), 522. Rather than cite the 1925 edition I am citing my reference to the short-lived (200-2001) open-source site, aduni.org, a one-year post- baccalaureate program sponsored by alumni of Massachusetts Institute of Technology (MIT). This hypertext edition of the important post WWI poem by the Anglo-American, Eliot, has notes by another critical figure in Post WWI literature, George Santayana (1863-1952), Nobel Prizes in Literature, 1948, 1949). See T. S. Eliot, "The Hollow Men," Aduni.org (1925 1925), http://aduni.org/~heather/occs/honors/Poem.htm. See, e.g., T.J. Knock, To End All Wars: Woodrow Wilson and the Quest for a New World Order (Princeton University Press, 1995). A. Tooze, The Deluge: The Great War, America and the Remaking of the Global Order, 1916-1931 (Penguin Publishing Group, 2014), 3. M.S. Neiberg, The Treaty of Versailles: A Concise History (Oxford University Press, 2017), xi. Military victory was to the liberal-minded Wilson an opportunity to remake the world in more egalitarian lines, to the dismay of Empire statesmen like Lloyd George and Balfour. Lloyd George read the alleged lines of Woodrow Wilson to the Imperial War Cabinet, “Gentlemen of the Conference, we come here asking for nothing ourselves, and we are here to see you get nothing.” See D.R. Woodward, Trial by Friendship: Anglo-American Relations, 1917-1918 (University Press of Kentucky, 2015), 176. 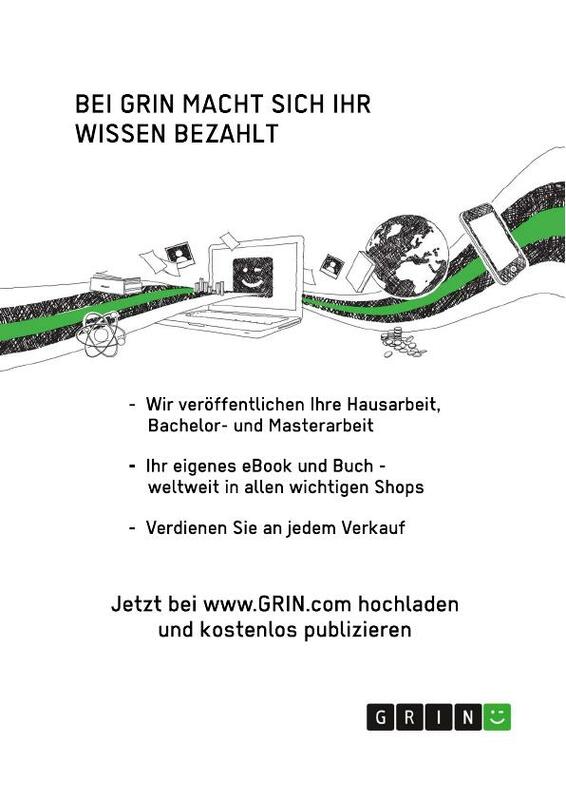 E. Kolb, The Weimar Republic (Taylor & Francis, 2008), 3. J.H. Morrow, The Great War: An Imperial History (Taylor & Francis, 2003), 320. Immanuel Kant, Immanuel Kant, and Sir James Creed MEREDITH, The Critique of Judgement. Translated with Analytical Indexes by James Creed Meredith (Oxford, 1952). One cannot help but wonder, “What is the relationship between post-World War I ethics and the famous trial in Dayton, Tennessee?” I suspect that research into William Jennings Bryan might offer some insight. See, e.g., the documented tonnage of chemical warfare deployed in World War One here: T.T. Marrs, R.L. Maynard, and F. Sidell, Chemical Warfare Agents: Toxicology and Treatment (John Wiley & Sons, 2007), 3.  See, e.g., the work of Rosalind Hursthouse, " . . . Surely the simple rules we learnt at our mother’s knee are indispensable.” G. Sher, Ethics: Essential Readings in Moral Theory (Routledge, 2012), 522. See, e.g., Gordon Haddon Clark, The Philosophy of Science and Belief in God (Craig Press, 1964). 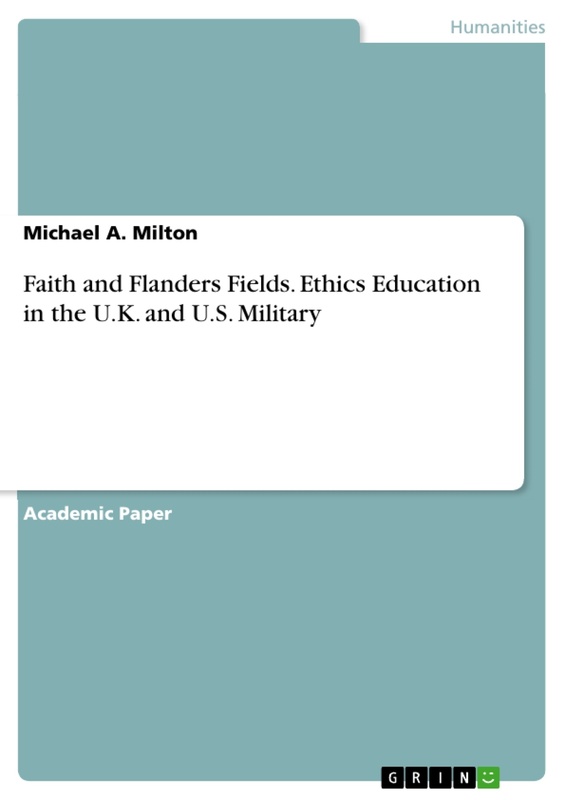 Faith and Flanders Fields is a peer-reviewed presentation on ethics in military education. The paper was presented at the National Defense University, Washington D.C. on the occasion of the centenary of World War One. The paper was refereed by a committee of the Office of the Chief of Chaplains, United States Army, the Pentagon.